The terms in this Glossary define the National Association of Uniform Manufacturers & Distributors (NAUMD)'s cooperative effort with its members to focus on a variety of components, processes, and construction techniques associated with the production of uniforms and career apparel. The Glossary contains terms relating to Fibers & Yarns, Fabrics (knits, wovens, and nonwovens), Dyeing & Finishing, and Garment Construction. A "Glossary of Care Instruction Terms" in FabricLink's Fabric Care Center is available to assist in reading the labels and properly caring for Career Apparel and Uniforms in order to maximize the life of the garment. Alpaca Cloth - Very soft and very light fabric with a silky hand. The fiber is obtained from the Alpaca goat. Alpaca resembles mohair and is often imitated in cheaper versions using wool and rayon blends. It is used mainly for women's spring or fall coats, suits and sportswear. Appearance Rating - The term that applies to the smoothness of fabrics - usually wash and wear or durable press after washing and tumble drying. Industry has adopted standard test methods for rating appearance. Back Length - The dimension on a garment taken from the center collar attaching seam to the bottom of the garment, or in the case of a coverall, to the top of the waistband. Band (Continuous/Grown-on) - Pant panels that extend to the top of the pant and are folded over without an outside band. A separate inside band lining is sewn through the pant and has an interlining. Band (Pasted-on/Folder-set) - A separate band sewn on the pant with stitching that shows on the outside at the top and bottom. Barathea - Closely woven fabric with characteristic pebbly weave. 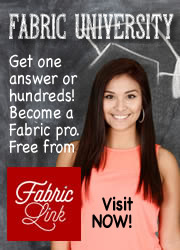 Usually silk or rayon or blends with other fibers. Used for neckwear, dress goods, lightweight suitings. Batch Cure - A method of post curing durable press garments in which one group of garments at a time is placed in the curing ovens. Beetling - A mechanical treatment that uses beetlers or fallers to give fabric surfaces a flattened appearance. The spaces between warp and filling are covered up and tend to produce a high gloss to the material. Beeze - Piping or cording formed at lower and inside pocket welts. Besom - An edging or reinforcement around a pocket opening. Birdseye - Cotton or linen cloth woven on a dobby loom, characterized with a small geometric pattern that has a center dot resembling a bird's eye. Also, a cotton diaper cloth made in a birdseye weave. Bleach - A chemical substance which whitens fabrics. Common bleaches include chlorine, peroxide, and reducing agents such as sulphites. Bleaching is used to remove natural and other types of impurities and blemishes from fabrics prior to dyeing and finishing. Break - Point on the front edge of the garment at which the roll of the lapel begins. Usually at the same point as the lower end of the bridle. Bulking - A technique of altering yarns to make them fluff, curl or crimp up to give them a bulked appearance. Buttonhole (eyelet) - Formed by a contoured patch of zig-zag stitching, followed by a cut---a portion of which is circular. Eyelet buttonholes are usually used on heavy fabrics and/or with large buttons. A gimp or cord is usually contained within the stitches to provide a reinforcement along the edge of the hole. Buttonhole (straight) - Formed by two pairs of straight, parallel rows of zigzag stitching, followed by a single, straight knife cut. Each end of the row of stitching is secured by a bartack. Buttons - Specified by design, size, color, and type---such as brass, melamine, or pearl, buttons are either shanked (attached by passing threads through the shank's eye) or holed (attached by passing threads through the button's holes). Cable Twist - A cord, rope, or twine construction in which each successive twist is in the opposite direction to the preceding twist. This type of twist is defined as S-Z-S or Z-S-Z. Calvary Twill - A rugged 63 degree twill weave usually made from wool or wool blend yarns, and characterized by a pronounced raised cord. Also called elastique weave. Canton Flannel - Heavy, warm cotton material that is strong and absorbent, with a twilled surface and long soft nap on the back. Named for Canton, China, where it was first produced. Used mainly for interlinings, and sleeping garments where warmth is so desirable. Cardigan - 1. A form of rib knitting stitch modified for tucking on one or both sets of needles. 2. A sweater style usually referring to a three-button coat sweater with either a "V" or a round neck. Cleaning - Hand operation in which the basting threads are removed from the garment; usually done prior to the final pressing. Closures - Items used to close openings in apparel and other consumer textile products, i.e. buttons, buckles, hook and eye, snaps and zippers. Collar - Two or more thicknesses of fabric attached to the neckhole opening to provide a firm and neat-appearing finish. Collar (Banded) - The visible or panel portion of the collar is cut separately and attached to the neckband portion. This is normal dress shirt construction. Collar (convertible) - The panel or visible portion of the collar and the neckband portion are cut as one piece, but folded once along the length to produce the appearance of a banded collar. Collar (Lined) - A collar made by placing a piece of interlining between the two pieces of body fabric. Collar (one piece) - A collar constructed from a single piece of fabric with the center fold forming the outer edge. Collar (padding) - Attaching the under-collar to canvas with several rows of blindstitching. Collar (sandwich) - A collar which has the top-collar inserted between the canvas and the under-collar. Collar (topstitched) - A collar with an added row of stitching along the folded edges. Collar (two-piece) - A collar formed by joining two identical pieces, inverting and sometimes topstitching along the folded edges. Commercial Standards - "Recorded voluntary standards of the trade." The U.S. Bureau of Standards issues Commercial Standards which are not laws, but are important as accepted voluntary benchmarks of performance and quality by the industry. 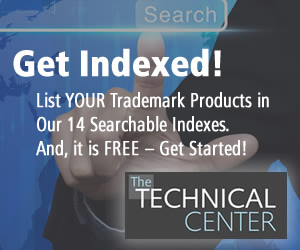 These standards are usually referred to by number, and spell out test procedures and minimum performance guidelines. Continuous Cure - A method of curing durable press garments which uses a moving conveyor system to carry garments into and out of the curing oven. Also known as continuous oven. Crabbing - A treatment used to set the cloth and yarn twists permanently in woolens and worsted goods. Crease Resistant Finish - Also referred to as CRF. Finishes used on fabrics that make them resistant to wrinkling and creasing, such as synthetic resin type finishes like durable press. Today some fabrics are made highly resistant to wrinkling through fiber blending and construction. Crease Retention - The ability of a cloth to hold or pleat or a crease, which has been intentionally created, through the use of a heat treatment. Heat setting of thermoplastic fibers causes creases to be permanently set. Crocheting - A fabric, trimming, or lace made by interlocking successive loops or stitches with a hook or needle. Crocking - The tendency of excess dyes to rub off. Napped and pile fabrics in deep colors are most likely to crock. Industry has set standards and tests to measure and prevent crocking. Crotch Seam - The short seam from the back of the pants fly to the inseam. Cuff (lined) - A cuff with interlining placed between the two pieces of body fabric. Cuff (one-piece) - A two-ply cuff formed by folding over a single piece of fabric, usually with a lining in between. Cuff (topstitched) - A cuff with an added row of stitching along the folded edges. Cuff (two-piece) - A cuff in which two identical pieces of fabric, usually with a lining in between, are joined by a seam along the edge, then turned and sometimes topstitched near the folded edges. Curing - A baking process with the use of resin finishes, applying heat under carefully controlled conditions to a fabric or the garment, which cause a reaction in the finishing agents and make them work. Crease-retention, water repellency, wrinkle resistance, and durable press are examples of finishes that are cured. Cut-on-cross - Fabric that is cut so that the warp runs horizontally across the garment piece. Cut-on-fold - Fabric that is doubled, then cut. Dart (cut-in) - An open dart cut in approximately 12" under the armhole. Dart (front or double) - An additional closed dart located toward the front edge of the garment, used to get maximum waist suppression. Dart (panel) - A panel sewn full length to the front that is used for waist suppression. Dry Cleaning - A cleansing method or process applied to garments in which organic solvents such as carbon tetrachloride, perchloroethylene, or certain hydrocarbon compounds are used to remove dirt, soil, and most spots and stains. Unaffected stains have to be removed by other special agents. Edge - The front margin of the garment that extends from front corner to front corner. Edge Tape - A tape sewn along the front edge of a coat from top of the lapel to bottom of the facing. On less expensive coats, this tape starts at the bottom of the lapel (called the breakline). The tape is usually sewn with an edge-knife machine. End-And-End - Broadcloth, chambray, madras, or other fabric having alternating warp yarns, usually one in a color and one in white. Fell - To join two pieces of material with the edges folded together using double needle stitching. Filament Textured Yarns - Filament processed by special machinery to create bulk, stretch and greater comfort. The texturizing process works in such a way so that filament yarns do not lie parallel to one another; this increased space creates the bulk. Most of today's filament polyester is texturized. Fire Retardant - Fabrics treated with special chemical agents or finishes to make them retardant or resistant to burning. Today many fabrics achieve this property by using fibers that have this property built directly into the polymer. As a rule, fire retardant fabrics should be extremely durable through many washings and dry cleanings. Foamback - A fabric which has been laminated to a polyurethane foam backing. Front(stitched down) - A front the has a double-turned hem that is stiched down full length of the front. The term may also refer to the shell (outside) front of self-goods. Gorge - The break between the collar and the lapel. Handwoven (Handloomed) - Fabrics which are woven on either the hand or hand-and-foot power loom. Hem (clean) - The double fold of fabric secured with a row of stitching with the raw edge of the fabric buried within the fold. Hem (raw) - A single fold of fabric secured with a row of stitching, leaving the raw edge of the fabric exposed. Hot Head Press - A type of pressing machine especially designed for processing durable press garments. It generates heat between 350-460 degrees F, with a pressure to six tons at the head, and is generally equipped with precision automatic controls. Lapel - The part of a garment that is turned back in the front. The front fold on a shirt that is a continuation of the collar. Lapels (padding) - Attaching the lapel to canvas with several rows of blind- stitching. Requires feed of cloth fullness in horizontal and vertical planes. Minimum Care - Requiring normal home laundering methods and light ironing to produce satisfactory results. Open-shoulder construction - A method used on better coats that is characterized by hand-sewn lining shoulder seams. Outseam - The distance from the bottom of the trouser leg to the top of the pant at the waist. The measurement is taken along the outside leg seam that joins the front and back leg panels, and includes the width of the waistband. Permanent Press (Durable Press) - Terms used to describe a garment which has been treated to retain its fresh appearance, crease, and shape throughout the life of the garment, Permanent press can be a misleading description, because no finish is completely permanent. Durable press or crease resistant are the more accepted terms, and are the ones approved by the Federal Trade Commission. Piping - A narrow tape used to bind seams, or used for decoration. Piqué - Medium weight or heavy fabric with raised cords that run in warp direction. Plain Edge (Bluff Edge) - A construction in which the edges of the garment are not stitched. Pleats - A portion of the fabric folded over, and secured by stitching or pressing. Pocket (patch) - A pocket attached to the outside of the garment and constructed of self-fabric. Pocket (quarter) - The angle from the side seam. Pocket (rule) - A patch pocket attached on the outseam, halfway betweeen the hip and the knee of the garment; usually found on coveralls. Pocket (serged) - A pocket formed by joining two pieces of fabric and joining the edges with safety-stitching. Pocket (slash) - A pocket that must be entered through a slash on the garment. The pocket pouch is suspended from and attached to the slash. Pocket (stitch and turn) - Formed when two pieces of fabric are joined along the edges and turned so that the raw seam margin is inside of the finished pocket. Pocket (stitched, turned, topstitched) - The same as stitch and turn pocket, except with an added row of stitching along the folded edges. Pocket (swing) - The pocket pouch is suspended from and attached to the pocket opening. Pocket Facing - A piece of shell (outer) material super-imposed on the top of the pocket material at its opening to conceal the lining. Post-Cure - A type of durable press finish in which the finish is applied to the fabric by the mill, but the garment manufacturer completes the cure of the finish by applying heat, using an oven, or press, or both to the completed garment. Pre-Cure - A finishing treatment in which the durable press finish is applied to the fabric and set, or cured, through the use of heat at the mill, prior to shipment of the fabric to the garment manufacturer. Pre-Shrunk - Fabrics which have received a treatment, which causes shrinking. Often done on cottons before cutting the fabric in order to remove the tendency for shrinkage in the finished garment. The percent of residual shrinkage must be indicated on the label of the treated goods or garments. Press - 1. A device that uses heat and pressure to remove wrinkles and creases and smooth fabrics during garment construction. 2. A device used to press or compress raw materials. 3. To iron in the home or commercial laundry. 4. To squeeze liquid out of a fabric through the use of roller presses. Pucker - The uneven surface caused by differential shrinkage in the two layers of a bonded fabric during processing, dry cleaning, or washing. Resin - The name commonly applied to synthetic chemical compounds polymerized on the fabric or yarn to give wash- and-wear and durable press properties, crush resistance, dimentional stability, and hand to fabrics. Rickrack - Flat braid in a zig-zag formation. Made from several types if fibers, it is used for many kinds of trimming on apparel. Rise - The length of trouser from the top of the waistband at the fly opening, around the crotch, to the top of the back waistband at the center. Schiffli Embroidery - Originated in Switzerland, the word, Schiffli, means "boat", identifiable with the boat-shaped shuttle used in the frame. The lace effect is made by embroidering the motifs on a net ground. Scotchgard® - Registered trademark of the 3M Company for fabric protector finish that repels against staining from water and spills. Seam (book/booking) - The raw edge hem done on a blindstitch machine, usually sewn in the side ans back seam outlets, and on the bottom turn-up. Seam (french) - A closure between two pieces of material, made by stitching, turning, and restitching, so as to conceal all raw edges. Seam (open gorge) - Both the collar and the facing are turned under, basted, and then the seam is felled (edges folded together) from the outside. Seam (raised) - A seam resulting after two pieces of fabric have been joined; one piece is folded back, and a second row of stitching is placed adjacent to the folded edge. Seat - The circumference of a pant, measured perpendicular to the fly opening and from the base of the fly. Self-goods - When the same material is used as a pocket lining, or in a waistband, collar and fly construction. Also called shell. Serging - An overcasting technique done on the cut edge of a fabric to prevent raveling. Shell - A outer fabric from which the garment is made. Side Opening - An opening created by the facing tacked onto the swing pockets. It allows the wearer access to his trouser pockets. Typically found on coveralls. Sleeve Length - The sleeves measured from the center of the neckline in the back to the end of the sleeve or cuff. Sleeve Tacking - Stitches which attach the sleeve to the lining along the sleeve inseams and elbow seams. Sleeve Vent - A finished slit or opening in the sleeve. Vents are usually secured by snaps or buttons at the base of the cuff. Stay - A piece of fabric used to hold another piece of fabric in place, or to add strength to a seam or tack. Stitch (Backstitch) - Used at the beginning and end of stitching to reinforce and prevent raveling. Also called backtack or stay-stitch. Stitch (Baste) - A stitching which holds the fabric in place until permanent stitching has been completed. Stitch (Blind) - A stich that is not visible on one side of the fabric. Stitch (Chain/Class 100) - A stitch formed with one or more needle threads, the look=ps of which are passed through the material and through the loops of the preceding threads. Stitch (Contrasting) - When the stitching thread contrasts the garment color. Stitch (Dbl. Lock or Chain/Class 400 - A stitch formed with two or more groups of threads that interlace each other. The loops of needle thread are passed through the material where they are secured by looper threads; no bobbins used. This stitching ravels in one direction. 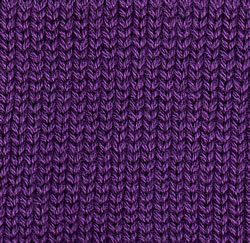 Stitch (Flat Seam/Class 600) - Multi-needle stitches that provide the elasticity necessary for knits. Stitch (Hand/Class 200) - A stitch formed by hand with one or more needles---one thread per needle passing in and out of the material. Stitch (Lock/Class 300) - A stitch formed with two or more groups of threads that interface each other. The loops of needle threads are passed through the material where they are secured by bobbin threads. Stitch (Overedge/Class 500) - A stitch formed with one or more groups of threads at least one of which passes around the edge of the material. Stitch (Safety) - A combination chain-stitch and overedge stitch made simultaneously on the same sewing machine. Stitch (Top) - A second row of stitching close to the edge of a seam, after two or more pieces of fabric have been sewed together and turned to bury the raw seam margin side. Stitch (Zig-Zag) - A stitch made on a sewing machine in which the needle bar comes down alternately on the right and left side of an imaginary center line. Also refers to the type of machine producing this stitch. Tape - Fabric sewn to a garment at the front edges, armholes, shoulder, neck, sideseams, vents, bottoms, gorge seams, etc. It is usually designed to prevent distortion of a fabric edge or seam. Trim-cut - Tapered and tailored, or a form-fitting garment. Trunk - Double the length of a coverall, from the center of the neckhole at the back to the point of the leg separation on the seat seam. Turning - The reversing of two or more pieces of material that are seamed together for pressing or topstitching. Under-press - To press the underside of a garment section during manufacturing to open the seams and give it shape. Waist - The circumference of a garment normally taken at the top of the waistband with the garment closed. Waistband (one-piece) - A single thickness of fabric that is doubled and stitched to the top of a pant. Waistband (Two-piece) - When two identical pieces of fabric are placed back-to-back at the top of a pant, raw edges turned inside, and joined with two widely spaced rows of stitching. the pant body is inserted betweeen and along one edge. Wash-and-Wear - Ability of a garment to be washed by hand or in a washing machine and require little or no ironing. Also referred to as "easy care". Washable - Materials that will not fade or shrink during washing or laundering. Labels should be read by the consumer to assure proper results. Do not confuse with "wash-and- wear". Watch Pocket - A small pocket in the garment, typically located just below the front waistband of men's trousers and used to accomodate change or a pocket watch. Welt - 1. A strip of material seamed to a pocket opening as a finishing, as well as a strengthening device. 2. A raised or swelled lap or seam. 3. A covered cord or ornamental strip sewed on a border or along a seam. 4. In knitting, it is flat- knitted separately and then joined to the fabric by looping or hand knitting, as the heel to the stocking. 5. A ribbed piece of knit goods used in forming the end of a sleeve or sock to prevent rolling or raveling. Welt Lining - Interlining for pocket welts. Yoke (self) - The entire back of a garment is one piece and has a single yoke superimposed on the outside. Yoke (Two-pierce) - Two identical pieces of fabric are joined to a shortened back piece to produce the total back. Yokeless Shirt - The front and backs of a shirt are joined without a yoke facing. Zipper - The physical parts of the zipper are: scoop teeth, chain, lock, pull tape, and slider. Zippers used in industrial clothing are metal or brass. Plastic zippers are used typical apparel garments. Zippers are used as a closure in pants, skirts, and dresses.